After nearly a decade devoted to restoration, the tomb of King Tutankhamun, the world’s most famous pharaoh, has been unveiled anew. Unfortunately, the tourist excitement had taken its toll on the boy king’s burial place near Luxoron, on the east bank of the Nile River. “A hundred years of visits, after being sealed for 3000 years … can you imagine the impact on the grave?” said Neville Agnew, head of the project led by the Los Angeles-based Getty Conservation Institute, in an interview. The mummy of the 18th Dynasty pharaoh, wrapped in new linen sheets, was put on full display in a special oxygen-free glass case. Photos of the face and feet of the pharaoh, who ascended to the throne at the age of nine or ten and reigned for only nine years, have been released following a rigorous restoration effort at one the world’s most popular tourist sites. 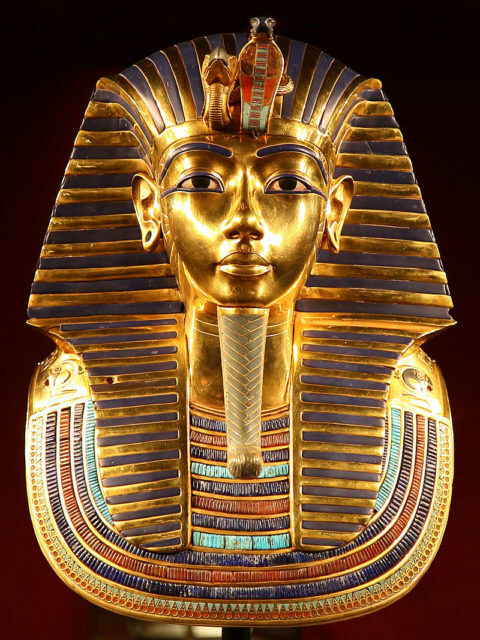 Although the centuries that passed since the pharaoh lived and died did their work on the mummy, Tutankhamun’s face has been almost completely preserved and none of the toes are missing. The work has tried to minimize scratches, dust damage, and the microbiological growth from the breathing and humidity brought in by so many tourists. 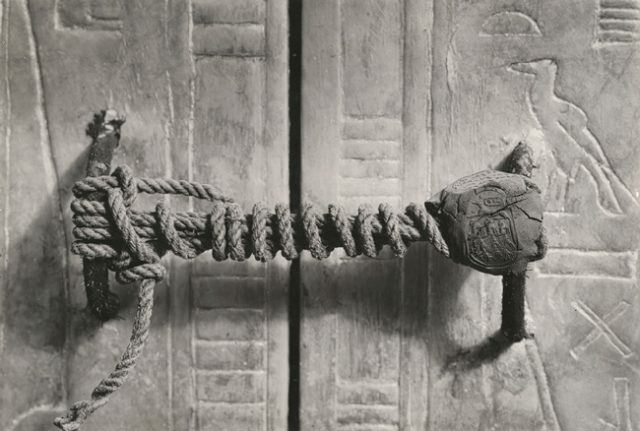 The unbroken seal of the third (from four) of Tutankhamun’s innermost shrines. The project was so expensive that the Getty Conservation Institute declined to give a figure on how much it cost, according to Travel and Leisure. 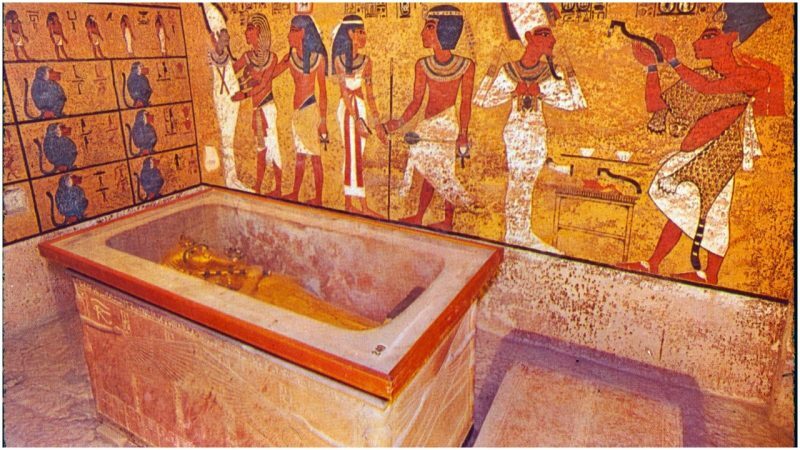 The tomb was discovered in 1922 by British archaeologist Howard Carter in the Valley of the Kings. 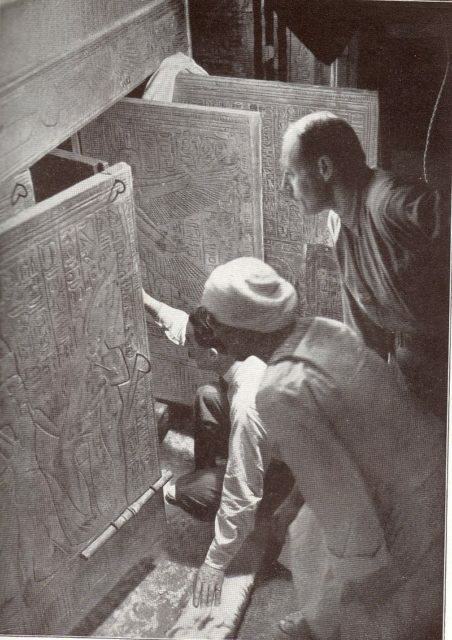 Howard Carter and associates opening the shrine doors in the burial chamber. Beginning in 2009, Agnew has led a 25-member team that included archaeologists, architects, engineers and microbiologists working to preserve the tomb and repair the ravages of time and tourism. Interrupted during Egypt’s 2011 uprising and the political instability that followed, the project later resumed and finished in February 2019. 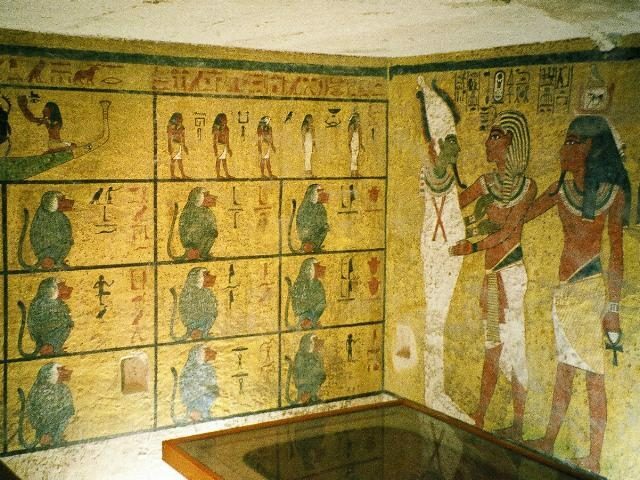 The preservation work reportedly began with a comprehensive study of the funeral chamber, including its golden-yellow murals, which had been coated over the decades by a grey veil of dust. The goal in doing so was “to understand the current state of the paintings, to determine if they were in danger and to establish a plan to safeguard them for the future,” Wong told AFP. 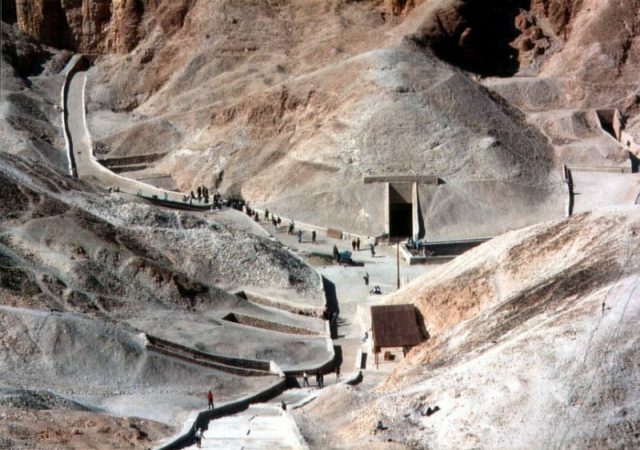 Scientists brought heavy-duty microscopes into the royal tomb, which they refer to as KV62, to analyze “brown spots” found on its ancient artwork. Howard Carter opens the innermost shrine of King Tutankhamen’s tomb near Luxor, Egypt which one of Carter’s water boys found the steps down to. Researchers speculated that the spots were a fungus that might spread and damage the murals. Analysis showed the blotches were indeed of microbiological origin, but the organisms were dead and the bacteria presented no ongoing danger. Howard Carter discovered the tomb by accident. On November 1, 1922 he stepped on a platform he found after clearing some ancient debris in a tomb exploration. This turned out to be the first step of a sunken staircase leading to the intact royal seals of Tutankhamun’s place of burial. 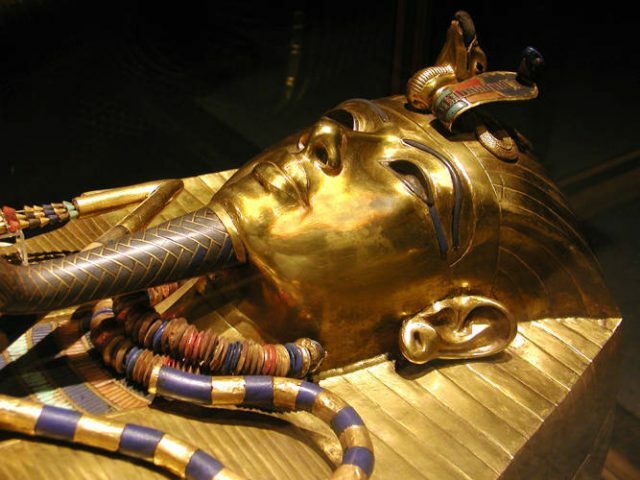 Two of Tutankhamun’s three coffins were made of wood, covered with gold sheet. 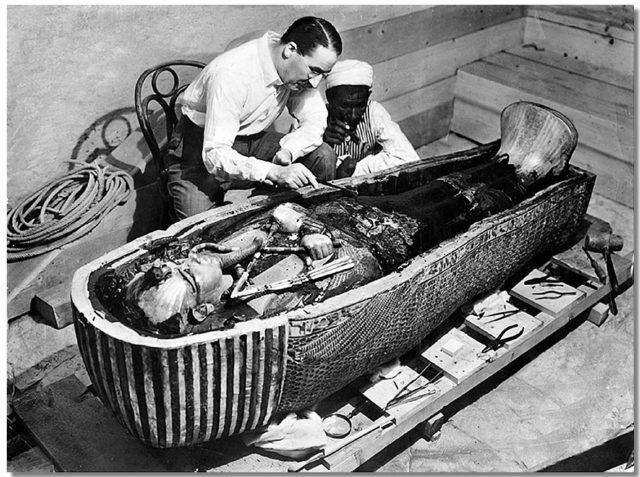 But, to Howard Carter’s astonishment, the innermost coffin was made from thick sheets of beaten gold.